I’ve been in this game a long time, and like many of my friends, I was a CD DJ before arriving at “laptop” DJing. Also like many of my friends, certain aspects of it I recently realised I was starting to find tedious and boring. But at the same time I had no desire to return to the old ways. 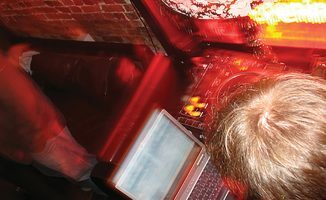 So a short while ago I set out to identify exactly what it is that I’ve been finding frustrating about laptop DJing, and to find a solution to make using a laptop more fun, less tiring, and a bit more like the old days of CDs (or vinyl!). I want to share what I found with you now. If you come from a CD or vinyl background, you probably look at the laptop as a huge record box, right? You probably want it to be to the side of your gear, something you touch as little as possible. (After all, that’s not DJing, you’re probably saying, all that mouse and keyboard stuff…) Well, before I explain to you why you may be getting this all wrong, I’d just like to show you how I arrived at my conclusion. For example, answer this question as you normally would: What’s 12 multiplied by 12? If you instantly said “144”, that’s insight; you knew the answer and effortlessly recalled it. If you “worked out” the answer, perhaps by saying to yourself “10 times 12 is 120, two times 12 is 24, therefore 120 plus 24 equals 144”, well, that’s analysis – and analysis is appreciably slower and harder than insight! Ah the good old days! (Well, for some, anyway.) 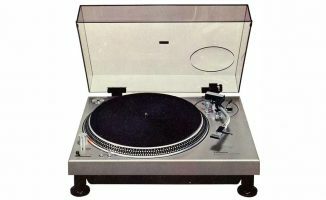 But there are lessons digital DJs can learn from how CD and vinyl DJs used to do things. So lets look at what this all means for the DJ. 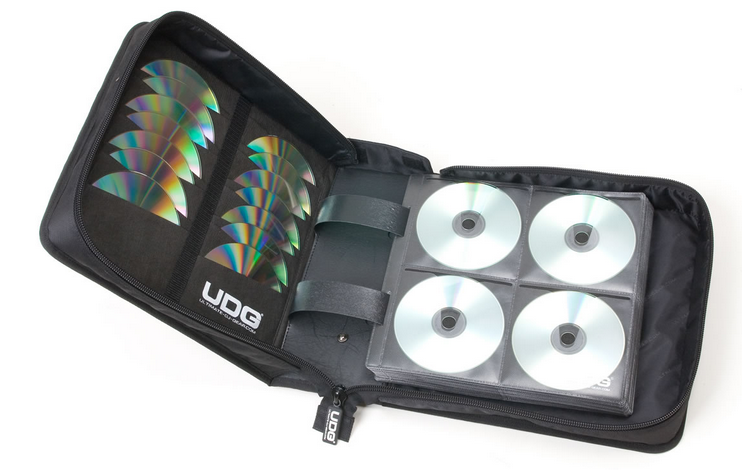 In my CD days, I had a wallet or two of CDs roughly organised so I knew more or less where everything was. The thought process was quite simple: I would play a track, watch the crowd, and then (mostly using insight), would decide the next tune that I was going to play; generally this would just pop into my head without my having to think too much. It was rare that I’d find myself looking at the CD track listings or browsing the CD wallet, and at this point, I’d just go straight to the CD as I already knew roughly where to find it, load it into the player, and go. Job done. 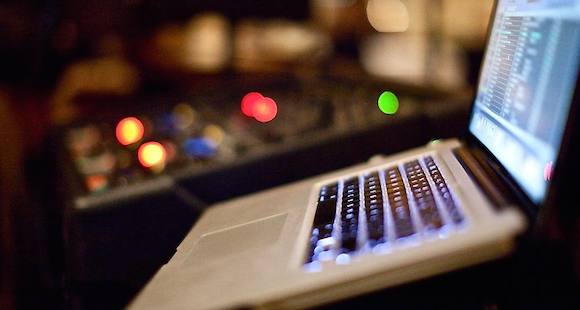 Now I want to show you how – until recently – my workflow looked when laptop DJing. I had loads of playlists. I’d look at the crowd, would think roughly what style of track I was going to play next, then have to think which playlist it was in. Then once I’d selected the playlist I’d scroll through to see what I had that might suit. Only then would I actually pick a track! Do you see the difference? I am now using analysis a lot more; I have to concentrate. And what if I change my mind? Now I’ve got to repeat the process again! All of this is taking away from the “flow”. I’m no longer in the zone; I’m looking at big lists and making decisions, and it’s just not fun any more. Once I realised that to work at my best I needed to use insight not analysis, the rest came fast and easy. Here’s how I work now with my laptop when DJing: As with the CD days, I look at the crowd and most of the time a good idea will pop into my head. I allow this to happen; it’s insight at work. In order to turn that “good idea” into a tune on the decks, the final part of the puzzle paradoxically has me doing what laptop DJs often try to avoid at all costs: Touching the laptop. Because the “golden bullet” for getting my flow back has turned out, strangely enough, to be nothing more than the search function, with me simply typing in the name of the tune I’m looking for next! Search can get the next tune on your decks even faster than with CDs or vinyl, and frees you up to use intuition rather than list-browsing to make your choice. Sure, I still organise my tunes properly and still sometimes scroll playlists, but most of the time I simply play a tune, look at the crowd, and let the next tune pop into my head. That next tune may be five years old, so to find it without search I’d have to think what playlist it was in, scroll through to find the playlist, then scroll through to find the track and so on. Do this enough times in a night and you end up bored, tired, and with eyestrain; I know, I’ve done it. Far from being a no-no, I’ve found the ability to quickly search for what your heart is telling you to play next trumps being forced to use your head too much to find the damned tune every time as well. And if it means a few keystrokes on the laptop? So be it. My “insight then search” method might not be for everyone (some people enjoy browsing and scrolling) – but if you find yourself feeling a loss of love for laptop DJing and think it might be caused by the inability to quickly grab tunes as they occur to you like in the old CD or vinyl days, then give my method a try: you might just find it transforms your DJing as it has mine. • Tony Corless is a UK-based mobile DJ. You can reach him via his website here. Do you agree? Have you battled with similar feelings about laptop DJing? How did you get past them? Or are playlists a great thing that’s transformed your DJing in a good way? Please let us know in the comments. Only time it’s the worst for me with computers is when I don’t know what I want to play next. So I have the “posting on Facebook” look when I’m really just crate digging. Only way I’ve found around it is to get organized and have limits…like you would with analog vinyl. Bring some music, not all of it. That’s exactly how I do it and what I teach, and it also forces you to think about your set before you get there. There’s merit in Tony’s method too, though, I feel. Very true! I use Virtual DJ at most of my gigs and I have the space bar on my keyboard mapped to put the search box, so all I have to do is press the space bar and then type to find any tune. 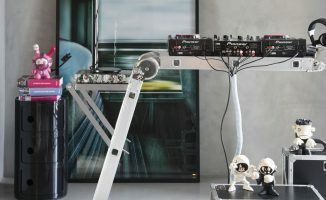 That’s pretty much how I always played my sets in my CD days – my CDs were laid out in such a way that I knew roughly where the song I wanted to play was. I’m about to play out for the first time in 7 years and using a combo of Algorriddm DJay and an RMX2 controller I think I can make it work as you suggest! Does using the search option instead of looking through a playlist really make that much more difference? I think the key to all DJ sets is preparation, i always go with enough music for my slot and maybe deviate from my playlist once or twice using the search function. But I don’t really think using search gives more flow at all. I’ve followed the same vinyl>CD>laptop evolution and still use them all depending on the situation. Your comments are so true. I especially go with your final sentence. The biggest advantage to me of the laptop is not having to refile physical discs after a frantic night when there’s not been enough time (or inclination) to do it on the fly. I’ve found that a mixture of the “insight then search” method and using a planned track list works best for me. Before a gig, I build a playlist that serves more as a guide that helps me take the set and the night to where I want, but after reading the crowd I have not problem searching for a specific track that will get things going. Often I find that tracks that weren’t part of the plan receive the biggest reaction from the crowd. It’s a great way to find complementing tunes, too. Great article. Cheers! What I do is comment whether the track begins with or without Bass, Middle, or Highs. Then I add tags like “Funky” or “Driving Rhythm” or “Floor Killah!” so When I’m looking for my next track I got info to help me choose. I also do playlists broken down by BPM 120-123, 124-126, etc. my sets follow BPM slower to faster and key mixing, as I play Trance online. going up in key to get the energy going, and if ppl need a rest I go down in key. I have never played anywhere except online, but would think this would work almost anywhere. and what about mapping a controller to browse playlists on the laptop. I’ve pretty much always went off the insight then search method. I’ll do that with about 5 songs and line them up in the queue. Then choose what I want to use. It allows you to think ahead and play songs based on what’s actually going on or common themes between songs. Thanks for mentioning the queue – the digital equivalent of half pulling records out of the box! Same here, Brian. I have several songs lined up for what I want “next.” My reality is somewhere between spontaneous song selection and a set list, heavily leaning towards the former. I’m playing live while simultaneously planning ahead. My queue might be an hour deep, with the next 4 songs potential for the next track, depending upon the crowd vibe. Being a visual kind of guy i knew how to find a tune due to its cover and pattern “song 2 on the b-side, deep cut in the middle” -when i got to cd i had to make my homeburned ones differnent and it was much harder. Nowadays i have to remember the name much harder and derail me out of the flow way too often. I’m very interested in trying out that App, I need to get some organization into my folders, I was going to use iTunes with Serato but I think if that one works nicely with Serato I’m in. A good preparation is half of the job. 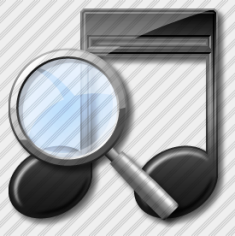 Fill in all your MP3 tags properly and make playlists (nineties, slows, dance, pop, ambi, …). 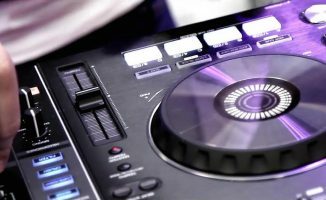 In all dj software you can order on genre, year, artist etc. This should help a lot already. I like to drop search keywords into the metadata (obviously this technique only works when you have a uniform search nomenclature) so the search function can give me somewhat useful results about not just the artists and title, but ‘the feel’ or ‘key words’. Sometimes though, I wish I could ignore some categories or do an advanced search inside the DJ programs. Thinking outside of the (search) box also helps. Thanks for the comments,I also use the prep playlist in traktor just the same as you can use the tag list on a newer version of a cdj,so you’re prep/tag list works like a quick add to playlist.This way like Phil says you can make a queue of 5 or 6 tunes that you intend to play next or soon. I agree and that’s how I do it!